One of the greatest players in Mets history is now a Hall of Famer. Mike Piazza was elected to the Hall with 83 percent of the vote in his fourth year on the ballot, the Hall of Fame announced on Wednesday night. Piazza will be joined by Ken Griffey Jr., who set an all-time record with 99.32 percent of the vote, eclipsing Tom Seaver’s mark of 98.84 percent. Griffey, who hit 630 home runs in a 22-year career with the Mariners, Reds and White Sox, was named on 437 of 440 ballots cast. Which cap will Mike Piazza be inducted into the Baseball Hall of Fame? Piazza, one of the greatest hitting catchers in baseball history, always had the offensive numbers to make it to the Hall. But he had to wait until his fourth year of eligibility in part because of unproven rumors about performance-enhancing drug use during his 16-year career. Piazza always has denied using PEDs. His vote percentage has gone from 57.8 to 62.2 to 69.9 to this year’s total. A player needs to get 75 percent to make it to Cooperstown. Piazza played for the Mets from 1998 to 2005. He hit 220 of his 427 home runs in a Mets uniform. He is the all-time home run leader among catchers, with 396 while he was in the lineup at that position. Piazza was a 12-time All-Star. Overall, he hit .308 with a .922 OPS after getting drafted by the Dodgers in the 62nd round of the 1988 draft. It is not clear yet if Piazza, who was inducted in the Mets’ Hall of Fame in 2013, will join Seaver as the only Hall of Famers to have a Mets cap on their baseball Hall of Fame plaques. The Hall of Fame decides which cap goes on a plaque with input from the player. Piazza spent parts of eight seasons with the Mets after breaking in with the Dodgers in 1992. He has said he would ask to wear a Mets cap. 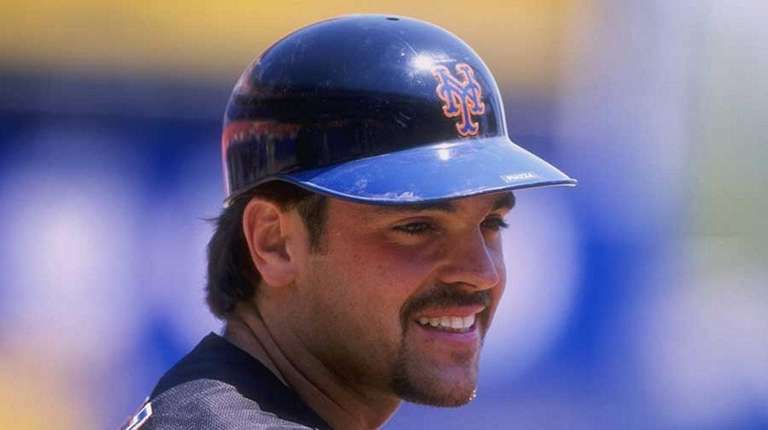 Piazza also played briefly with the Florida Marlins, San Diego Padres and Oakland A’s. Piazza becomes the 12th former Mets player to enter the Hall. The others are Seaver, Roberto Alomar, Richie Ashburn, Yogi Berra, Gary Carter, Rickey Henderson, Willie Mays, Eddie Murray, Nolan Ryan, Duke Snider and Warren Spahn. The Hall of Fame induction ceremony will be held on July 24.